•　Wide temperature-bandwidth of about 55℃. •　Fast delivery (10 days for polished only,15 days for AR-coated). BBO is also an efficient crystal for the intracavity SHG of high power Nd:YAG lasers. For the intracavity SHG of an acousto-optic Q-switched Nd:YAG laser, more than 15 W average power at 532 nm was generated in a AR-coated BBO crystal. When pumped by the 600 mW SHG output of a mode-locked Nd:YLF laser, 66 mW output at 266 nm was produced from a Brewster-angle-cut BBO in an external enhanced resonant cavity. Because of a small acceptance angle and large walk-off, good laser beam quality (small divergence, good mode condition,etc.) is the key for BBO to obtain high conversion efficiency. Tight focus of laser beam is not recommended by our engineers. Efficient UV output (205nm-310nm) with a SHG efficiency of over 10% at wavelength of ≥206nm was obtained in type I BBO, and 36% conversion efficiency was achieved for a XeC1-laser pumped Dye laser with power 150KW which is about 4-6 times higher than that in ADP. The shortest SHG wavelength of 204.97 nm with efficiency of about 1% has been generated. 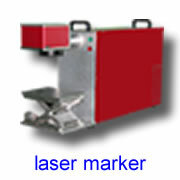 Our BBO is widely used in the Dye lasers. With type I sum-frequency of 780-950 nm and 248.5 nm (SHG output of 495 nm dye laser) in BBO, the shortest UV outputs ranging from 188.9nm to 197 nm and the pulse energy of 95 mJ at 193 nm and 8 mJ at 189 nm have been obtained, respectively. Frequency-doubling and -tripling of ultrashort-pulse lasers are the applications in which BBO shows superior properties to KDP and ADP crystals. 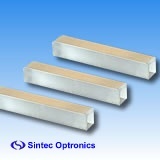 Now, we can provide as thin as 0.02mm BBO for this purpose. A laser pulse as short as 10 fs can be efficiently frequency-doubled with a thin BBO, in terms of both phase-velocity and group-velocity matching. 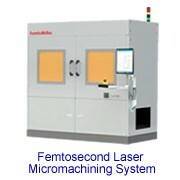 More than 50% of SHG conversion efficiency in a Ti:Sapphire laser has been obtained. 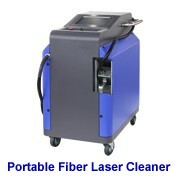 High conversion efficienies have been also obtained for the THG and FHG of Ti:Sapphire lasers. By employing the intracavit frequency-doubling technique in an Argon Ion laser with all lines output power of 2W, maximum 33 mW at 250.4 nm and thirty-six lines of deep UV wavelengths ranging from 228.9 nm to 257.2 nm were generated in a Brewster-angle-cut BBO crystal. Up to 230 mW average power in the UV at 255.3 nm with maximum 8.9% conversion efficiency was achieved for the SHG of a Copper-Vapor laser at 510.6 nm. 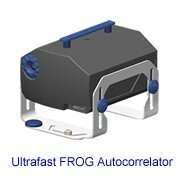 The OPO and OPA of BBO are powerful tools for generating a widely tunable coherent radiation from the UV to IR. The tuning angles of type I and type II BBO OPO and OPA have been calculated, with the results shown in Fig.5 and Fig.6, respectively. an OPO output ranging from 680 nm to 2400 nm with the peak power of 1.6MW and up to 30% energy conversion efficiency was obtained in a 7.2 mm long type I BBO. The input pump energy was 40 mJ at 532nm with pulse-width 75ps. With a longer crystal, higher conversion efficiency is expected. When pumped by a 1mJ, 80fs Dye laser at 615 nm,the OPA with two BBO crystals yields more than 50μJ (maximum 130μJ),<200fs ultrashort pulse, over 800 nm-2000 nm. BBO can also be used for E-O applications. It has wide transmission range from UV to about 3500nm and it has much higher damage threshold than KD*P or LiNbO3, More than 80W output power and 50KHZ repitition rate have been reached by using our E-O BBO crystals and Nd:YVO4 crystals as gain media. At 5K Hz, its pulse has width as short as 6.4ns,and energy of 5.7mJ or peak power of 900 KW.It has advantages over the commercial A-O Q-switched one , including a very short pulse,high beam quality and size compact as well. Although it has a relative small electro-optic coefficient,the Half-wave voltage is high (7KV at 1064nm,3*3*20mm3),long and thin BBO can reduce the voltage requirements. We now can supply 25mm long and 1mm thin high optica quality of BBO crystal with Z-cut, AR-coated and Gold/Chrome plated on the side faces. 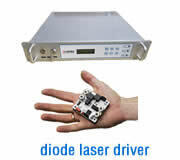 Our engineers can select and design the best crystal, if the main parameters of your laser are provided, such as energy per pulse, pulse width and repetition rate for a pulsed laser, power for a cw laser, laser beam diameter, mode condition, divergence, wavelength tuning range, etc.